Still image from Tibor B. 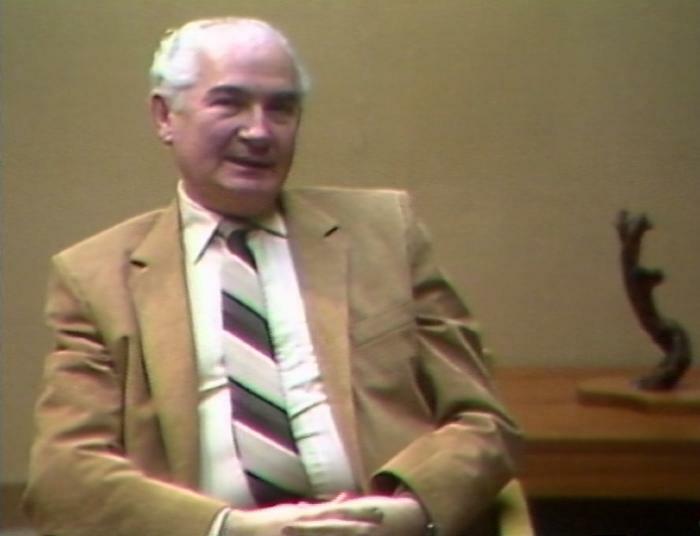 Holocaust testimony, February 22, 1984.
and cousins, who were selected to go to a new camp. He was discovered and separated from the group. Tibor describes the evacuation to Theresienstadt and liberation by Soviet troops. He describes returning home and learning that his family had been killed. He speaks about attempting to recover family property. Tibor describes attempting to emigrate from Hungary and escape attempts. Tibor recalls marriage and fleeing Hungary in 1956. He describes immigration to Canada. He discusses his daughter and sharing his experience.